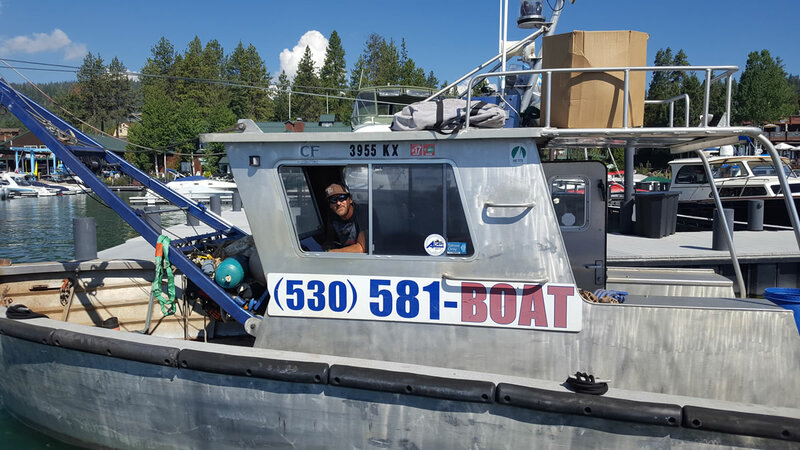 High Sierra Marine has been the leading provider of all aspects of mooring buoy service, boat towing and salvage, and commercial diving in Lake Tahoe and surrounding lakes since 1964. We also provide lake water pump system service and installation, in-water hull cleaning, underwater repairs, pier repairs, and many other miscellaneous barge and diving type services. On land, we provide both indoor and outdoor boat and trailer storage, and complete boat pickup and delivery services.